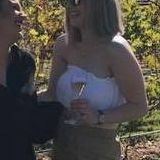 My name is Laura, I am from Australia (currently living in Aus but would not let me put that on my profile) and am seeking an au pair or nannying job in Vancouver, British Columbia. I am a enthusiastic, responsible and loving person. I've always wanted to work overseas and travel and I feel like this would be the ideal way to learn and meet a fantastic family to live with for the duration of my stay. My availability is flexible but wanting full time work >1year. I can take care of facilitating educational activities, meal preparation, and school pick-up and drop-off. Further, I have a drivers license. I have had experience as a caregiver for infants. I have a reference from my previous babysitting job for those who are interested! Passionate, adventurous, loving nanny with a background in mental health.